The Wildlife Conservation Society (WCS) aims to save wildlife and wild lands worldwide. Towards this end, it engages in science, conservation, education, and the support of zoos and aquariums. 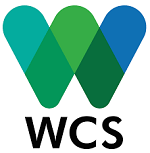 The WCS organizes its work by geographical regions, ecosystems and species, and thematic subjects. It manages about 500 conservation projects around the world. 1 — Graduate Scholarship Program. The GSP funds international graduate education for exceptional conservationists from Asia-Pacific, Africa, Latin America, and North American indigenous groups. There are several different scholarship funds by purpose, region, etc.. The amount of the scholarships is US$30 thousand to US$36 thousand, in addition to travel expenses and other allowances. APPLICATION: Scholarship guidelines are posted on the GSP web page. WCS will review applications only if they are nominated by WCS country program directors or by other designated nominators. WCS offers background information, and provides an email contact for inquiries. 2 — Research Fellowship Program. The WCS Research Fellowship Program (RFP) is a small grants program designed to build capacity for the next generation of conservationists by supporting individual field research projects. The maximum award is US$15 thousand. APPLICATION: RFP applicants must be citizens of developing countries. An exception is made for applicants who are Native American (US) or First Nations, Métis or Inuit (Canada). WCS makes annual calls for proposals with focus on themes directly related to WCS priorities. Applying the geographical framework of the Terra Viva Grants Directory, WCS is active in the following regions of the developing world. Where We Work offers profiles of WCS programs and projects. The WCS Climate Adaptation Fund makes grants for conservation in the USA. WCS posts the contact information of its country offices worldwide.